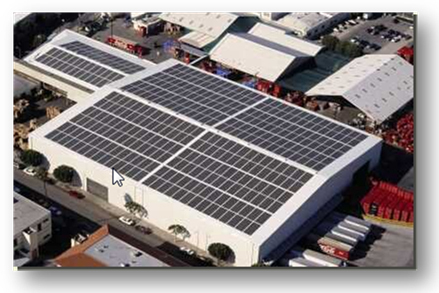 A Typical commercial property (either a plaza or office building) can have a roof size large enough to install a solar power plant in the range of 5 to 100Kw or even more depending on the available area. Please call us and we will be happy to do a no-obligation Free-of-charge estimate of your property in terms of the following. 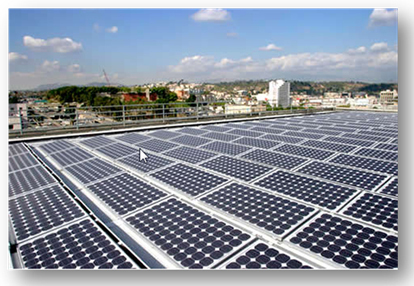 Available Area – This is to determine the size of the Solar power plant that can be installed on the roof top. Nature of the roof – Whether concrete of Built up roofing (BUR) membrane, Modified Bitumen membrane, metal roofing. Shading – Any current or future potential shading has to be considered as this impacts the power generating capacity of solar panels to a very large extend. This can be either for the roof or on the ground. Access to the space – Whether this is intended to be installed on the roof or on the ground, the space should be accessible for maintenance reasons. Though the solar panels require zero or very little maintenance, there could be occasions wherein you need to get to the panel to clear obstacles like leaves, bird-droppings, or dirt. Periodic cleaning with water hose powerful enough to reach the panels on the roof is also a good idea. Structural Assessment of the roof - We will have our Structural Engineer do the roof assessment to make sure that the roof can take the extra load without any additional investment in strengthening the roof. (There could be additional cost associated with this assessment). Use the tool Sun Angle to calculate the Solar Angle data.